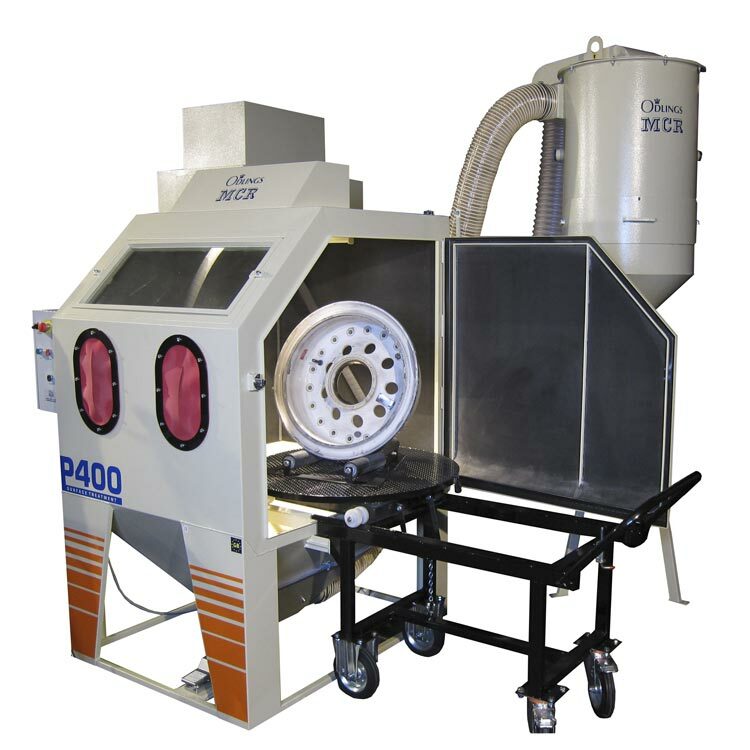 The P400 is a complete system for removing the paint from aircraft wheels & brakes prior to inspection. 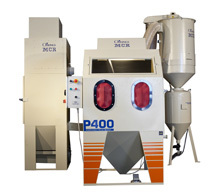 Comprising of three components: cabinet, extractor and cyclone system, the P400 removes paint quickly and safely from aircraft wheels & brakes using plastic media. The operator can easily manoeuvre the wheel once inside the cabinet using the turntable and rollers, all areas of the wheel can be cleaned. 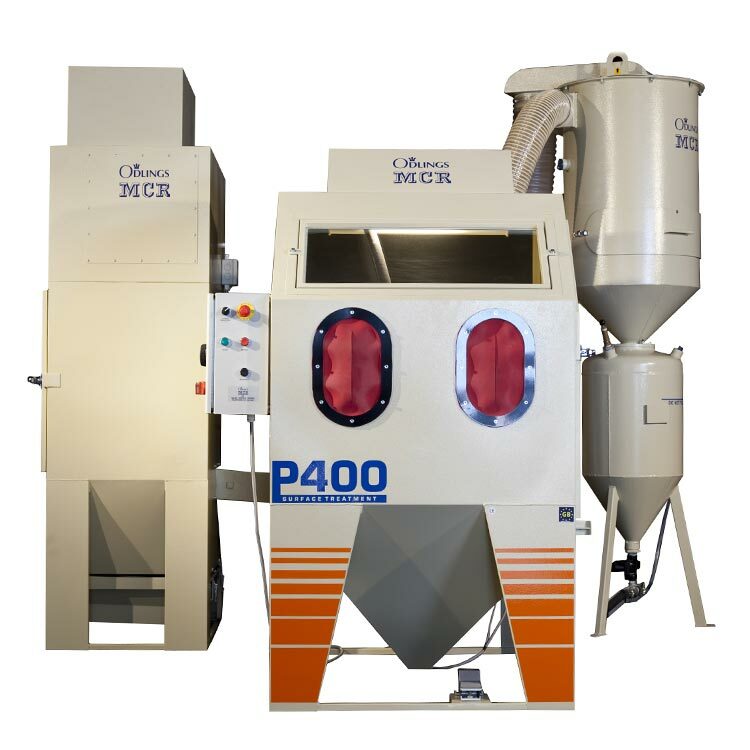 Being safe, easy to use and maintain the Odlings MCR P400 is the ideal choice for paint stripping aircraft wheels. Rubber lined interior - Reduces noise and damage to cabinet and media. Loading trolley and turntable – Transporting, loading and manoeuvring heavy wheels is made safe and easy. Variable pressure regulator – Allows the operator to alter the pressure to suit their requirements. 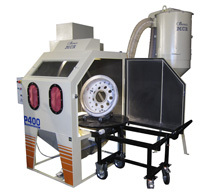 Air blow off gun – The operator can remove dust on the wheel inside the cabinet making the working environment cleaner. 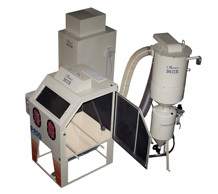 Powerful dust extractor – Keeps the cabinet dust free allowing the operator to see inside. CE Certificated – Meets all current safety guide lines. 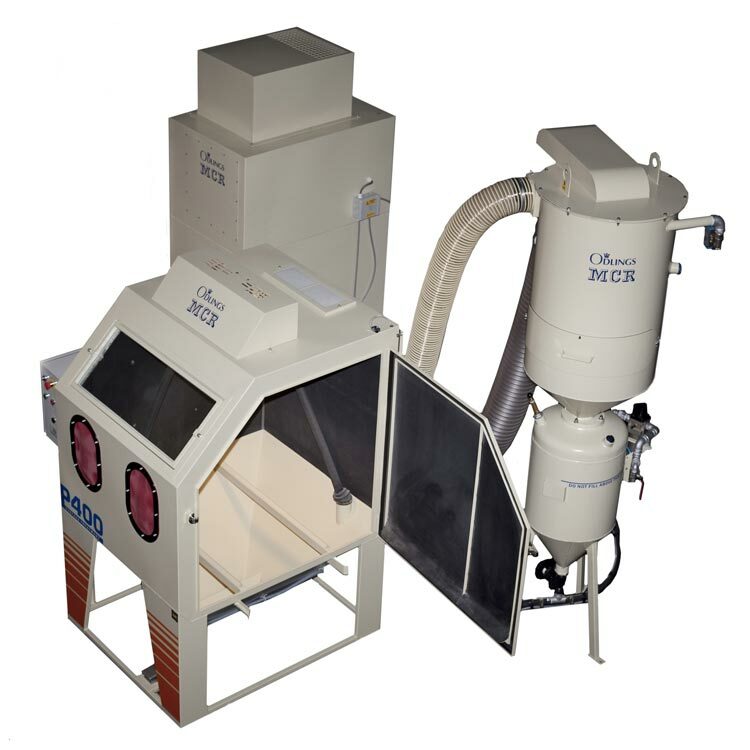 If you are looking for a plastic media blast cabinet please contact Odlings MCR to discuss your requirements.